With the paradigm of the Internet of things, each object in the physical world can be remotely identified, controlled, and located through networks. Thanks to their low cost and their small form, the Radio frequency identification (RFID) tags are frequently used to tag objects . The tags or objects are often distributed in large geographic areas. Due to the limit of the interrogation range of RFID readers, multiple readers should be deployed to read the information stored on all tags. The major challenge in an RFID network design is to find the optimal placement and parameters of readers in order to meet the essential requirements of an RFID system such as coverage, load balance and interference between readers. This challenge has led to a new research area known in the literature as the RFID network planning problem. This problem is characterized by a large number of constraints as well as numerous objectives and it proves to be NP-hard. In this paper, we develop a novel optimization algorithm, namely the self adaptive cuckoo search (SACS) algorithm, to solve this complex problem. In the SACS algorithm, the control parameters of the cuckoo search (CS) algorithm are adjusted dynamically in real time. The self-adaptation phenomenon allows the evolutionary algorithm to be more flexible and closer to natural evolution. The experimental results on 13 standard benchmark functions demonstrate that the proposed algorithm is more efficient than five adaptive variants of the CS algorithm. 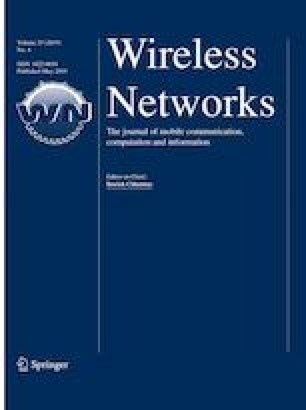 In the second part of the paper, the SACS algorithm is also used to solve three difficult RFID network planning instances. The simulation studies show that the SACS algorithm obtains better solutions for the RFID network planning problem than the original CS, four adaptive CS variants, the GA and the PSO in terms of optimization and robustness. To test the effectiveness of the SACS algorithm on a real problem, a case study is carried out. Mathworks (2015). Global optimization toolbox: Users guide (r2015a). http://www.mathworks.com/help/pdf_doc/gads/gads_tb.pdf. Accessed 11 August 2017.